The website has been updated with the release 1.4.4 of DELT. There are some little enhancements. It is now possible to export the data from the trial balance specifying if you want to take "closing entries" in consideration. Closing entries are special journal entries that are not considered when the statements are prepared. This way, when the amount of, say, Purchases is shown on the Income Statement, it can be shown even if the account is already closed. 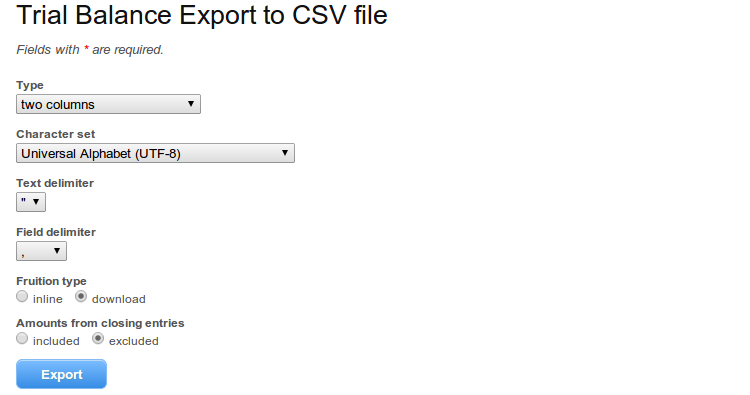 Second, the client-side code that prevents users to leave the journal entry page with unsaved data has been improved. Please report any issue you might have with this. Third, the "net result" line for the income statement now comes straight from the Configuration of the single firm, That means that you can specify what you want there to appear. Just go to the Chart of Accounts page, and edit the line of the result account. If you have two items, one with a "debit" outstanding balance and one with a "credit" outstanding balance, the appropriate one is chosen. Do you want to have a look at the General Ledger, when all your accounts are neatly listed one under the other, with all transactions recorded for each one? 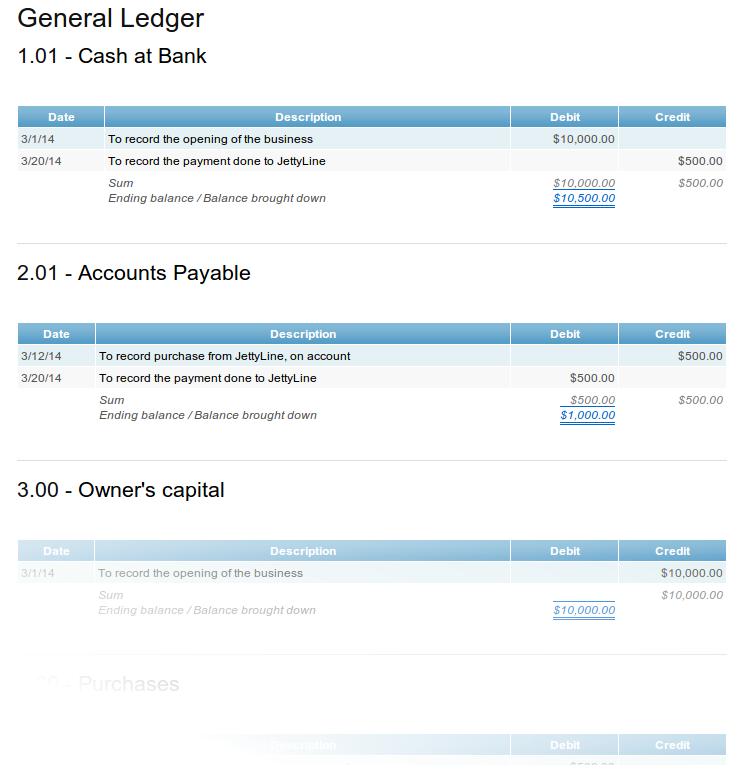 You can now do it: just click on the brand new link "General Ledger" for your firm! As you might have already noticed, the login screen changed a bit. 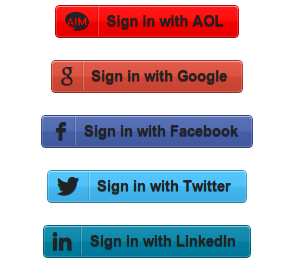 It is now possible to login in the website using your preferred social network credentials. This way, you can start to complete your exercise without worrying about a new password to remember. If you have any troubles in this, just contact us through the form and we'll try to help you. We prepared two new firms that you can start with when you want to complete some exercises. The Empty Firm has no accounts at all, but has some basic configuration for the statements and the positions of accounts. You can use it if you want to prepare (or import from a spreadsheet) your own Chart of Accounts. US GAAP Simple Firm has a very basic Chart of Accounts, straight from the Wikipedia page. You can of course edit it as you wish. Don't forget that you can add accounts on the fly, when you are preparing a journal entry, simply by adding an exclamation mark after their name (you can decide later where to put it in the Chart of Accounts).